Age of Conan Cheats: CONAN EXILES book revealed for the Conan tabletop RPG! CONAN EXILES book revealed for the Conan tabletop RPG! We have very exciting news for Conan fans! Robert E. Howard's Conan: Adventures in an Age Undreamed Of tabletop roleplaying game by Modiphius Entertainment will get a sourcebook based on our upcoming CONAN EXILES open-world survival game! The Kickstarter for the roleplaying game is in its final week, with more than 2900 backers pledging over £275K, making it veteran RPG makers Modiphius' biggest Kickstarter campaign to date! 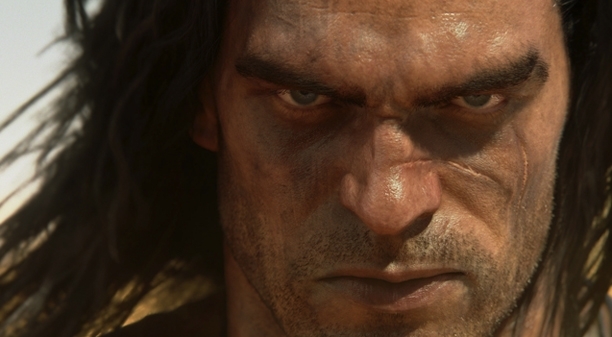 The CONAN EXILES tie-in sourcebook will adapt areas and gameplay from CONAN EXILES to Modiphius’ 2d20 roleplaying game. Developed in partnership with Funcom's CONAN EXILES team and Free League Publishing (the designers of the Ennie award-winning Mutant: Year Zero), this sourcebook adapts the critically-acclaimed community development system from Mutant: Year Zero to the rigors of the Hyborian Age. Click here to see the announcement of the book. In CONAN EXILES and the sourcebook, the heroes face a brutal and extreme challenge: survival in an isolated land, attempting to build a community that might persevere against the depredations of neighboring kingdoms. Thrust into the Exiled Lands — a desolate region shrouded in mystery — the heroes must ready themselves and their fledgling community against repeated invasions. To survive, they need to manage a small population, forge alliances, build defenses, gather resources, craft weapons, train their forces, weather deadly sandstorms, battle dangerous beasts and adventure forth into the untamed wilderness of the Exiled Lands surrounding them. Will those they meet turn into allies, or enemies? The CONAN EXILES book will offer the harshest survival challenge facing Modiphius' Conan players, a struggle worthy of the great barbarian himself and this full-color 112 page hardcover will be beautifully illustrated with concept art and screenshots from the CONAN EXILES video game. Please remember that anyone who joins the Kickstarter and pledges £15 and above will get the Age of Conan: Adventures in an Age Undreamed of Pack. This contains 5 XP Potions (double XP gain for 12 hours) and four powerful starter armor sets (Swashbuckler, Buccaneer, Marauder and Pirate) which can be claimed in Age of Conan. Funcom is proud to be working with Modiphius Entertainment, and is extremely excited to see Conan fans from all around the world come together and support this awesome Conan tabletop RPG. The Kickstarter is almost over, so now is your chance to join and get your hands the great CONAN EXILES sourcebook and the Age of Conan book we revealed earlier!